Brian E. Keeley is the president and CEO of Baptist Health South Florida, the largest faith-based, not-for-profit healthcare organization in the region, with 10 hospitals, a network of more than 50 outpatient facilities spanning four counties and one of the largest international programs in the nation. Under his leadership, the organization has been rated among the 100 Best Companies to Work For in America by Fortune magazine and the 100 Best Companies for Working Mothers by Working Mother magazine. Baptist Health South Florida also is listed among the World’s Most Ethical Companies by the Ethisphere Institute. In its Best Hospital Rankings, U.S. News and World Report has consistently recognized Baptist Health among the top healthcare organizations nationwide. Raised in Cleveland, Ohio, Mr. Keeley holds an undergraduate degree from Miami University, Oxford, Ohio, and an MBA from George Washington University. He began his career as an administrative resident with Baptist Hospital in 1969. He was named assistant administrator in 1973, chief operating officer in 1979 and CEO in 1986. He oversaw Baptist Hospital’s mergers with South Miami and Homestead hospitals in 1995, subsequently becoming the president and CEO of Baptist Health South Florida. Mr. Keeley spearheaded the additional growth of the health system, which added Mariners Hospital in the Florida Keys in 1995 and Doctors Hospital in Coral Gables in 2003 to its acquisitions. In 2011, Baptist Health opened West Kendall Baptist Hospital, an academic facility affiliated with Florida International University’s Herbert Wertheim College of Medicine and the first new hospital to be constructed in Miami in more than 30 years. In 2016, Miami Cancer Institute opened, consolidating outpatient cancer services and marrying academic and clinical arenas ― something uncommon in a community hospital setting. In addition, the Cancer Institute will expand its clinical trials program in an agreement with Memorial Sloan Kettering Cancer Alliance and bring sophisticated technology, such as the first proton therapy center to South Florida. In 2014, Mr. Keeley was the recipient of the Lifetime Achievement Award from the South Florida Business Journal. In addition, he won the Stempel Award for lifetime achievement from Florida International University’s Robert Stempel College of Public Health and Social Work, recognizing, among other things, the affiliation agreement between the university’s Herbert Wertheim College of Medicine and Baptist Health to develop an accredited family practice residency program at West Kendall Baptist Hospital, which graduated its first class of residents in 2016. 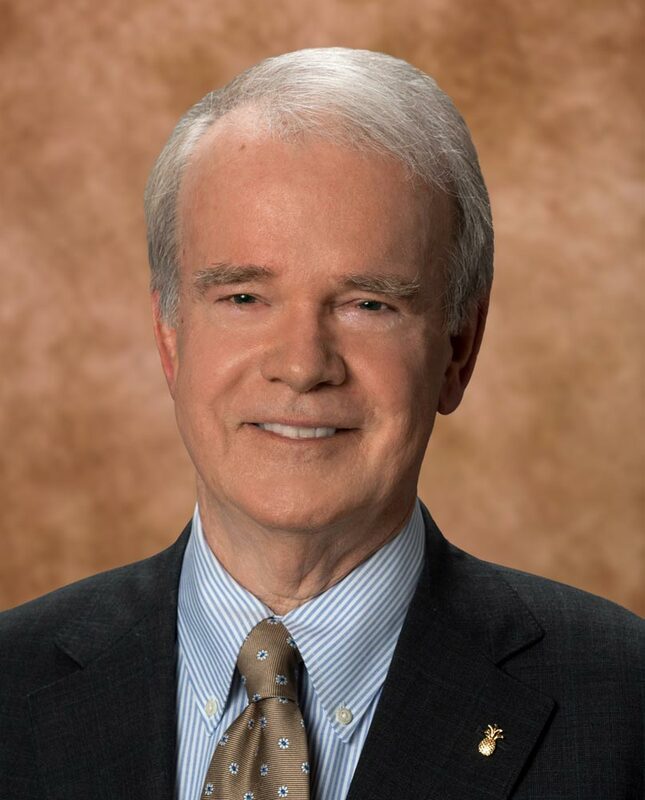 In 2012, Mr. Keeley was named Distinguished Alumnus of the Year at The George Washington University on the occasion of the 50th anniversary of the Department of Health Services Management and Leadership. Mr. Keeley also was the recipient of the 2004 “Ultimate CEO Award” by the South Florida Business Journal and the 2002 “Humanitarian of the Year Award” from the American Red Cross of Greater Miami and the Keys. He was also the recipient of the 1999 “CEO of the Year Award” from the Health Academy of the Public Relations Society of America and named 1995 “Man of the Year” by the Community Health Foundation, Inc. Mr. Keeley also received the 1990 “CEO of the Year Award” from the American Hospital Association Society for Healthcare Planning and Marketing. Today, Mr. Keeley leads South Florida’s most preferred healthcare provider. Baptist Health has a workforce of approximately 19,500 employees and more than 3,000 affiliated physicians. Each year, the organization has more than 1.5 million patient visits. Its hospitals and outpatient facilities have won numerous clinical quality awards, as well as honors for patient, physician and employee satisfaction. And in its mission as a not-for-profit health system committed to improving the health of the community, Baptist Health provided more than $291 million in charity care and community benefit last year. Mr. Keeley is a former member and Board chair of the Miami Branch of the Federal Reserve Board of Atlanta (2000-2006) and is Honorary Consul General of St. Kitts & Nevis. He is married to psychologist Dr. Susan Keeley, and they have two grown children, Amanda and Court.